Asiad Steels is one of the renowned manufacturers and suppliers of Super Duplex UNS S32750 Round Bars & Super Duplex UNS 32760 Round Bars. These Super Duplex Alloy UNS S32760 Round Bars has excellent corrosion resistance to a wide variety of media, with outstanding resistance to pitting and crevice corrosion in seawater and other chloride containing environments, with Critical Pitting Temperature exceeding 50°C. The duplex microstructure gives this grade high strength Super Duplex UNS S32750 Bars a low coefficient of thermal expansion and higher heat conductivity than austenitic steels and is suitable for working temperatures up to 300°C. Super Duplex Alloy UNS S32760 Round Bars is used for sour service and having gained ASME Approval for Pressure Vessel applications. Duplex steels Din. 1.4501 Round Bars offer high resistance to uniform and local corrosion because of their high content of nitrogen, chromium and molybdenum. Duplex stainless steels Din 1.4501 Round Bars have good weldability. UNS S32760 super duplex stainless steel is developed to be used in aggressive environments. While involving extended exposure to temperatures more than 572 Degree F, the use of Super Duplex UNS S32760 Rods is not recommended. The chemical composition of S32750 and S32760 are similar; however, the latter contains slightly more copper and tungsten. 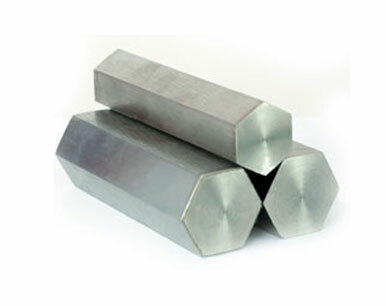 Alloy 2507 Round Bars has 25% chromium, 4% molybdenum, and 7% nickel. Duplex 2507 Round Bars have good mechanical properties. 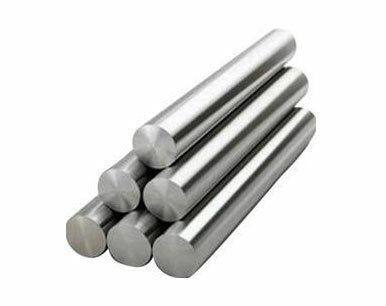 Often a light gauge of Alloy 2507 Rods material can be used to achieve the same design strength of a thicker nickel alloy. Super Duplex UNS S32750 Rods is often used in Oil and gas industry equipment, Offshore platforms, heat exchangers, process and service water systems, fire-fighting systems, injection and ballast water systems and many more. Buy Super Duplex UNS S32750 & UNS 32760 Rodsat reasonable rates from us. We are Exporter of Super Duplex S32750 Round Bars in Worldwide Such as India, United Kingdom, Yemen, Gambia, United Arab Emirates, Kuwait, South Korea, Bangladesh, Colombia, Chile, Czech Republic, Qatar, Zimbabwe, Australia, Bolivia, Jordan, Indonesia, Algeria, Finland, Estonia, Macau, Slovakia, Greece, Switzerland, Ghana, Austria, Belarus, New Zealand, Venezuela, Portugal, Iran, Angola, Thailand, Malaysia, Ireland, Netherlands, Oman, Hong Kong, Namibia, Peru, Chile, Vietnam, Pakistan, Iraq, France, Iran, South Africa, Gabon, Puerto Rico, Italy, Sri Lanka, Saudi Arabia, Ukraine, Mexico, Taiwan, Romania, Costa Rica, Singapore, Brazil, Trinidad & Tobago,Tunisia, Sweden, Nigeria, Russia, Hungary, Nigeria, Germany, Morocco, Belgium, Poland, Bahrain, Lithuania, Poland, Mexico, Libya, Japan, Lebanon, Bulgaria, Denmark, Spain, Kenya, Bhutan, Tibet, Argentina, Nepal, India, Egypt, Philippines, Turkey, Serbia, United States, Israel, Canada, Azerbaijan, Afghanistan, China, Croatia, Norway, Kazakhstan, Mongolia, Ecuador. 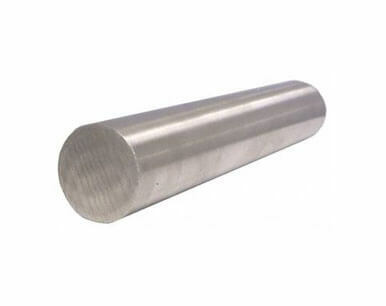 We are Suppliers of Super Duplex S32760 Round Rods in India Such as Mumbai, Brisbane, Rio de Janeiro, Busan, Granada, Colombo, Indore, Perth, Al Khobar, Milan, Toronto, Kuala Lumpur, Ernakulam, Bangkok, Kanpur, Seoul, Ulsan, Courbevoie, Nagpur, Madrid, Ludhiana, Montreal, Doha, Pimpri-Chinchwad, Chiyoda, Geoje-si, Noida, Hong Kong, Pune, Jaipur, Surat, Howrah, Kolkata, London, Hyderabad, Vadodara, New York, Houston, Hanoi, Caracas, Cairo, Coimbatore, Atyrau, Nashik, Baroda, Ho Chi Minh City, Dammam, Sharjah, Edmonton, Al Jubail, Petaling Jaya, Karachi, Ranchi, Ahvaz, Haryana, Secunderabad, Lahore, Riyadh, Navi Mumbai, Calgary, Chandigarh, New Delhi, Dubai, Algiers, Gurgaon, Jeddah, Thane, Faridabad, Chennai, Ankara, Rajkot, Moscow, Vung Tau, Singapore, Mumbai, Port-of-Spain, Jamshedpur, Bhopal, Istanbul, Visakhapatnam, Ahmedabad, Aberdeen, Jakarta, Tehran, Muscat, Bengaluru, Mexico City, Sydney, Bogota, Dallas, Abu Dhabi, Manama, Gimhae-si, Melbourne, La Victoria, Santiago, Thiruvananthapuram, Lagos, Kuwait City, Los Angeles.